KDS is a product of the skills, interests and talents of Katie Davis-Sayles and Jacob Sayles. Katie's background is in architecture, theater design and experiential graphic design. Jacob brings a long career in systems design, IT, software development and leading intentional communities. Katie began Kanawha Design Studio in 2011 with a Master of Architecture, ten years of experience in scenic, lighting and production design for performing arts and a specialty in graphic design in built environments. She has designed signage and wayfinding for international soccer events, branding for international artists, coworking spaces, coliving hotels and a couple of brilliant bathrooms. As an educator, she has taught design, drafting and experiential design at the college level to theater artists, interior architects and graphic designers. With an interest in digital fabrication and augmented reality, she has also taught 3D modeling and digital fabrication workshops to artists, film makers and members of maker spaces. Jacob joined Kanawha Design Studio in 2015. He started his career as a software programmer, working in software startups in the Pacific Northwest. In 2007, he and his business partner Susan Dorsch saw the shift in how people work and started the first coworking space in Seattle. From there, he continued to found a series of nonprofits and organizations designed to support the growing coworking movement around the world. Using his software background and his philosophy of open community access, he developed the Nadine Project, the first open source coworking software. 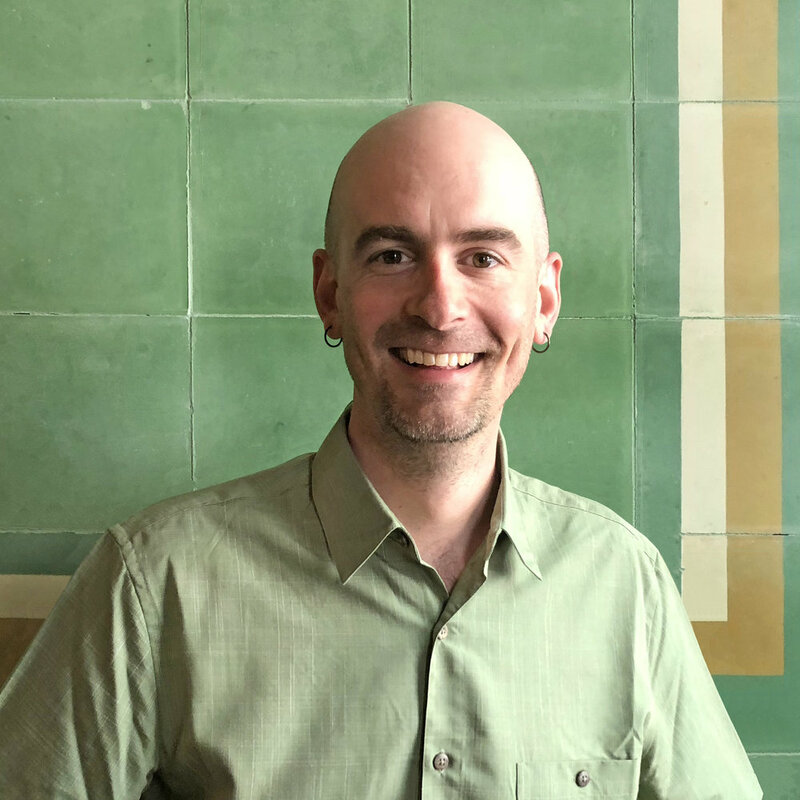 With Kanawha Design Studio, Jacob is a Designer and the Technical Lead, working on community spaces and integrating them with applicable technologies. Jacob is working on the ongoing Nadine Project, an open source software platform to manage spaces and coworking communities. The word “Kanawha” comes from Katie’s background in the Kanawha Valley of West Virginia. Her great-great grandfather started Kanawha Manufacturing Company in the region and she is carrying on the tradition with the name and the spirit of entrepreneurship. If you are in Seattle or Vancouver, we would love to meet with you and see your space (if you have one yet) in person. If not, we should chat through email or over phone and see how we can best help you and your community. With a masters degree in architecture and over 15 years of design experience, Katie can design anything from kitchens to coworking communities. She both has experience with big picture business and operations planning and a problem solver’s ability to dig deeply into details . Katie’s strength is in her ability to see complicated projects to completion – she has designed, managed and finished over 30 renovation and built projects as the Creative Director of Kanawha. Once called a “Curator of Visual Culture,” Katie helps communities develop and build spaces where members are comfortable and engaged. Jacob is a creative and entrepreneurial technologist with over 20 years of experience and a history of innovative ideas, well executed projects, and management of diverse teams. In 2007, he and Susan Dorsch recognized the growing trend and lack of support structures in place for independent and remote workers and opened Office Nomads, the first coworking space in Seattle. To support this business and others like it, Jacob wrote Nadine, the first open source coworking platform and founded Open Coworking, a non-profit dedicated to supporting the Coworking Movement. In his role at Kanawha, he supports small and large collaborative spaces with business planning, operations, community development, IT infrastructure, and the many uses of technology to support memberships and communities.